Beyond enjoying the benefits that come from learning from and living in another country, there are a number of tax benefits that come with being an expat that is originally from or a citizen of the United States. Despite the fact that “Uncle Sam” wants the ability to tax any dollar (or insert your foreign currency here) made by its citizens world-wide, the IRS does grant the ability for a certain amount of foreign-made income and housing expenses to be deducted from one’s income. Although the following tax guide is targeted towards United States citizens or permanent residents, those from other countries may find the information useful while living the life of an expat. If you are a United States resident alien or citizen who lives abroad (also defined as a U.S. Expat or Expatriate), you are required to file United States Income Tax returns annually just like when you resided in the United States. In order to encourage expats to do the “Right Thing” and file their taxes every year, the federal government has put in place a number of benefits as well as penalties if you choose to not file taxes as mandated by U.S. federal law. There are a number of income tax benefits available for American expats who meet federal requirements while living abroad. The largest benefit is being able to qualify for the Foreign Earned Income Exclusion tax credit. This credit lets expats deduct or exclude from one’s gross income monies made and housing spending while living abroad in a qualifying timeframe. In order to claim the benefit, one has to file a U.S. Federal Tax claim for the year and choose the exclusion. Additionally, another expat tax benefit is the ability to potentially claim itemized deductions or tax credits for any foreign income taxes paid. Additionally, depending on the various tax treaties or conventions signed on a bi-lateral basis with other countries, expats may be able to further reduce their foreign tax liability. For all of the benefits or advantages provided to American expats, there are also a number of severe penalties in place for those who refuse to educate themselves on the rules enforce regarding foreign-based income. First, it is against U.S. federal law to give-up one’s citizenship to skip on paying U.S. income tax. For example, if you decide to not file your U.S. federal tax return, the statute of limitations on collection on the taxes owed will not go away. Once you eventually decide to travel to the U.S. or do business with U.S. affiliated companies the tax along with penalties will be assessed! How Does the Foreign Earned Income Exclusion Tax Break Work? 3 – Be a United States resident or citizen who is physically present in a foreign country or countries for at least 330 days during a period of at least 12 consecutive months. How Do You Determine Your Tax Home? At a high-level, a tax home is determined by the primary location of one’s employment, place of business, or posting of duty for work. If one’s primary residence or home (ie where you regularly live) is in the United States, you are generally not considered to have lived abroad during the ax year. If you simply own a home in the U.S. or temporarily pass through during the tax year; however, it doesn’t \n’’o[pr territory not under the sovereignty of the United States government. This exclusion also applies to those who may live in the areas adjacent to the territorial waters of a foreign country or in the exclusive economic zone of a nation not the United States. One is able to obtain a waiver for the residency requirements in a foreign country if you have to leave the location due to civil war, general war, civil unrest, or other adverse conditions which preclude conducting normal business. You must be able to demonstrate; however that you would have met the residency requirements if these conditions did not exist at the time you moved. What are the Income Tax Travel Restrictions for U.S. Expats? Unfortunately, many U.S. expats forget that they are still governed by U.S. law while living abroad. For example, if one is found to have violated U.S. travel restrictions, he or she is not to be treated as being a “bona-fide” resident of another country while living outside of the United States for any day or days being present in a country in violation of American law. Additionally, if you earn any income from a country on the restricted travel list of the United States, these monies will not qualify under the foreign earned income exclusion clause. If you can pass the “Physical presence test,” one can elect to exclude from gross income an amount of foreign earned income up to the current cap for the given tax year. The income must be for services performed in the country or countries of residence. There are exceptions to these incomes which include: pay received as an employee of the United States government or agencies. Additionally, pay cannot be excluded for monies earned for services provided to Armed Forces exchanges, exchange services, or officers’ messes. If you are a U.S. government employee stationed overseas; however, you or your dependents may be eligible for the tax exclusion for work conducted as a “moonlighting gig” or second job not connected with your government job. How Do Foreign Tax Credits and Deductions Work? If claiming the foreign tax exclusion for the United States, one is not able to also claim credits or deductions related to the excluded income. Additionally, you are not allowed to claim foreign tax deductions for income tax paid on the income. Also, when taking IRA accounts into consideration, excluded income is not considered compensation, but is included into the modified adjusted gross income. What is the Maximum Foreign Income One Can Exclude? If you normally file your taxes in the United States and meet the requirements for residing in a foreign country under the physical presence or bona fide residence tests for the calendar year, then you should be able to make a claim to exclude your foreign income earned during the year for amounts up to $95,100 for the 2012 U.S. federal tax year. If you qualify for either test for only part of the year, then the amount of money that may be excluded will be based on the number of days during the tax year that you qualified under one of the two tests. How Does Foreign Housing Exclusion Work? If one’s tax home is located in a country not in the United States, and he or she meets the physical presence or bona fide residence test, then a deduction from gross income for housing may be an additional option on federal income taxes. The housing amount is considered to be the excess of allowable housing expenses for the tax year over a given base amount. The allowed expenses are those considered “reasonable” such as rent, personal property insurance, and utilities other than phone bills which are incurred during the tax year. You are also allowed to include the rental value of housing provided by an employer in exchange for services rendered. If your spouse and dependents were not able to live with you due to austere conditions, then the housing expenses for a second foreign household are allowed to also be deducted. One is not allowed to deduct items such as the cost of domestic servants, local taxes, or the cost of a home purchase under this exclusion. If one claims the housing exclusion, he or she is not able to claim any deductions that are related to excluded income which include deductions for foreign income tax paid on the excluded income. As a result, its generally recommended that expats consult an international tax attorney before making their first U.S. tax claim while living overseas. How Does the Foreign Housing Carryover Rule Work? 2 – the excess of the foreign income over the housing exclusion. Once the choice is made, it will remain in effect for the given and subsequent tax years until revoked. The choice can be revoked for any tax year; however, the exclusion is not permitted to be claimed again for five years without written permission of the IRS. How Do You Exclude Employer Provided Meals and Lodging? 1 – Meals and lodging provided at the employer’s convenience due to the location of work being located in a remote destination without suitable housing. 2 – Is located as close as possible (or practicable) to the work location. 3 – Provides a common area not available to the public and normally houses at least 10 personnel employed by the company. How Do Foreign Income Taxes Work? There are provisions for limited amounts of foreign income tax being credited against U.S. tax liabilities for expats. Normally, it is advantageous for Americans to claim credits for foreign taxes rather than deducting them. A credit will reduce one’s U.S. tax liability and any excesses can be carried both back and forward to other tax years. A tax deduction will only reduce the overall taxable income and is only eligible to be taken in the current tax year. All foreign taxes are required to be treated in the same manner in the same tax year (ie you can’t claim credit for some and deductions for others). How Do the Self-Employed File Taxes While Abroad? U.S. citizens can still take advantage of the U.S. tax breaks while abroad; however, a U.S. tax return must be filed if earning $400 USD or more in a tax year from self-employment independent of age. Self-employment tax must be paid on this income, even if all of it is excluded as foreign earned income for income tax purposes. Net incomes from the self-employment include income earned internationally as well as locally in the United States. How Do You Handle U.S. Estimated Tax While Abroad? Another common area that expats much up while living overseas is paying estimated tax. If working for a foreign employer, the odds are they will not be paying estimated taxes on your behalf. One’s estimated tax is the total of estimated income tax and self-employment tax for the year less the amount that has been withheld for the tax year. When calculating these figures, the amount of income that is expected to be excluded should not be part of the calculations. Additionally, one can also subtract from the income the estimated housing deduction to help determine or assess the current tax liability. At the end of the day, if one “underpays,” then he or she may be subject to an “underpayment” penalty. 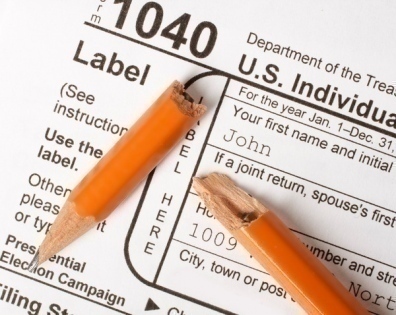 The due date for federal tax submissions remains April 15th in the given calendar year. If you are a United States resident or citizen who is living and working abroad, then you are normally granted an automatic extension to file federal income taxes until June 15th of the given tax year. No special form is required to take advantage of this extension; however, a statement declaring eligibility for the extension must be included with the return. For some residents, it may be beneficial to extend filing if the results of the extension will mean he or she then qualifies under the physical presence or bona fide residence tests to reduce their tax liability. How Do Foreign Financial and Bank Accounts Figure into Tax Returns? For American tax payers, if there is any financial interest in a bank or other financial account in a foreign country at any point during the tax year, one is required to complete Treasury Department Form TD 90-22.1, Report of Foreign Bank and Financial Accounts and then submit it to the Department of the Treasury, P.O. Box 32621, Detroit, MI 48232. The form must be filed no matter where one may live unless the combined assets in the account are $10,000 or less during the entire year. Additionally, if the assets are held with a U.S. military banking facility operated by a U.S. financial institution (commonly found on U.S. military installations overseas), then the requirements to fill out the form are also relaxed. The United States has a number of tax treaties and conventions with foreign countries. These treaties provide Americans with the ability to claim various credits, deductions, exemptions and realize reduced foreign tax rates. These treaties help lessen the amount of taxes paid to host countries based on the number of days the person lives and works in the given locale.